It was supposed to be just one quick taster to tide you over. But. You know how I kept saying things haven’t been falling together right? How I would just keep plodding along until things did fall in to place? Just not in the way I’d expected. Which is why it took one unexpected royalty payment from my former publishing house – more than a year after I got my book rights back (Although, that wasn’t their fault. The Post Office of South Africa was on strike for most of 2014. I kid you not.) to make me realize that it had. In my time off, I’ve basically been editing. So basically, I have one round of edits left to make sure the continuity is kept constant, followed by proofreads, which will probably happen in pen. ISBNs I’ve had since last year. So all I needed were the covers. Which means that, except for nailing down the back of the book copy, I basically need to decide on my release date. Seriously, then, I really need exactly one thing: Your help. Unlike last time around, I’m giving myself three months to set up my blog tour, marketing etc. And I’m thinking of doing the set-up differently. To make things easier for me AND you… Please see the pages above. 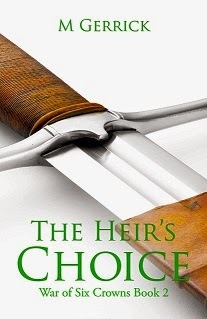 Blog Tour, Cover Reveal and Review. Inside will be a linky list and an explanation of what the entry entails. Don’t worry. No selling or buying of souls just yet. You’re welcome to enter more than one activity, if you’d like. So what do you say? Anyone want to help? The Vanished Knight is out next week. HEEEEEEEELP!!! Yeah… The time has come, ladies and gentlemen! I have a release date, and it’s much sooner than I expected. 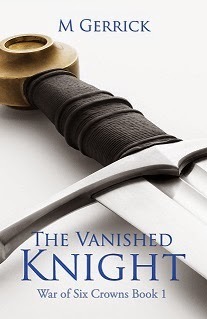 In fact, I’d like to launch The Vanished Knight by 15 October (projected release is 4 October). For me to make a bit of a splash, I need your help. I know this is super short notice, but I literally found out thirty minutes ago. The delay between finding out and posting this was caused by me picking myself up from the floor. What you’d like to do. I’ll do: guest posts, author interviews and character interviews. You can also request an e-copy of my book for reviews, or simply my cover and/or blurb to post it on your blog. When you’d like to do it. Anything from 15 October to 31 January works for me. Contact details. I need to be able to contact you. Thanks in advance to everyone who’ll help!